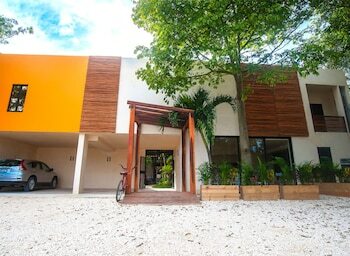 With a stay at Uolis Nah Hotel Villas in Tulum (Tulum City-Centre), you'll be a 4-minute drive from Gran Cenote and 11 minutes from Playa Paraiso. Featured amenities include a 24-hour front desk and luggage storage. Free self parking is available onsite. With a stay at Hotel Tortuga Express Acapulco in Acapulco (Costera Acapulco), you'll be steps from Parque Papagayo and 11 minutes by foot from Hornos Beach. With a stay at La Mansión del Quijote in Texcoco de Mora, you'll be 18.5 mi (29.7 km) from Teotihuacan Archaeological Site and 21.2 mi (34.1 km) from Basilica of Our Lady of Guadalupe.